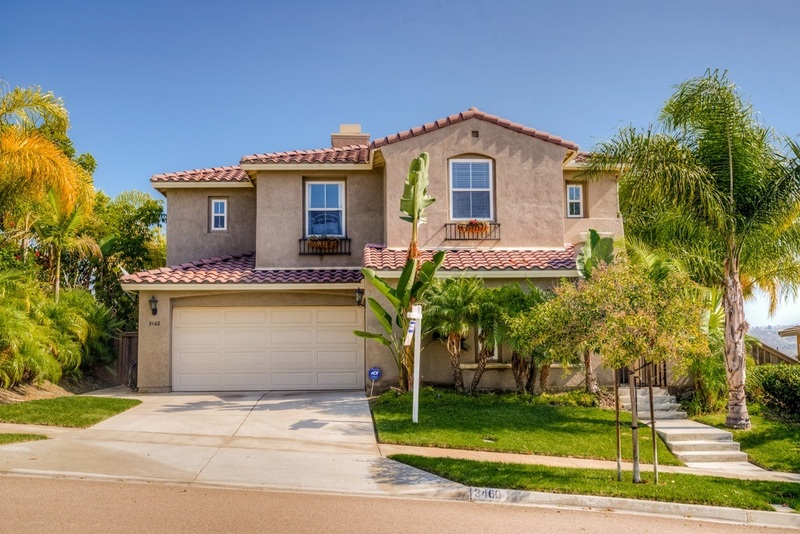 Wonderful 5 bd home in desirable Calavera Hills! Upgrades throughout include cherrywood cabinets, granite counters & stainless steel appliances, built-in desk area upstairs, built-in entertainment unit & surround sound in fam room, full bd/bath downstairs, spacious master suite with dual closets, attractive framed windows with sills, & so much more! Relax or entertain in the lovely backyard with fireplace, water feature, tropical landscaping & views to the east. Walking distance to Sage Creek High., There is so much to enjoy about living in this wonderful home and neighborhood! Located a half block from the community pool, and within walking distance to the Calavera Hills Nature Preserve with it's lake, hiking and biking trails. Nearby you will also find the Calavera Hills Community Center offering numerous recreational activities. Plus you are just minutes to the beach. You will love the lifestyle that Calavera Hills has to offer!